I have a number of Christmas ornaments and decorations that are comic themed. Mostly DC and Marvel superheroes, true, but they're mire frequently based on the comics as opposed to the movie versions of the characters. So my thought tonight is: if Halloween is the holiday which Americans spend the most money on, second only to Christmas, why are there no Halloween decorations based on Marvel and DC characters? 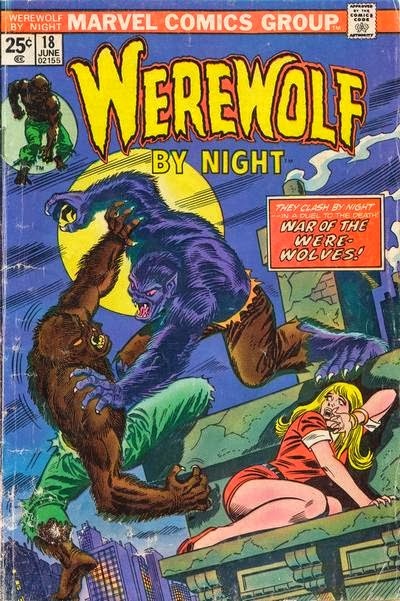 Especially with characters like The Demon and Werewolf by Night, and many superheroes wearing masks, it seems to me there's a more natural connection between comics and Halloween than comics and Christmas. Plus with those two publishers being more licensing studios than actual comic publishers, you'd think they would be all over that. Just some idle thoughts on a Friday in October.